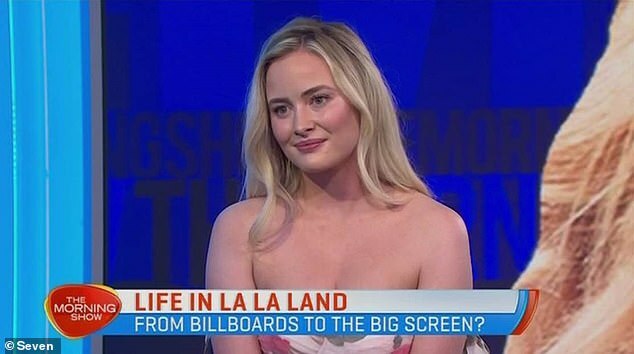 Simone Holtznagel made an extremely awkward comment during an appearance on The Morning Show on Tuesday. Speaking to hosts Larry Emdur and Kylie Gillies, the voluptuous model put her foot in her mouth while trying to make a point about men preferring curvier women. 'The men that I know, they're like, "I would rather be with someone that actually looks like a woman than an eight-year-old kid",' the 25-year-old said. Larry and Kylie appeared uncomfortable after the comment and quickly changed the subject to Simone's friendship with the late Charlotte Dawson.